Truth seeker. Media hater. Disillusioned journalist. 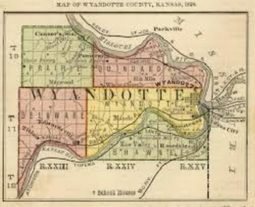 Bonner Springs, Edwardsville, election Wyandotte county, Primary. Bookmark. Kevin Braun is the first best choice to return BPU back to affordable utilities, instead of a hidden tax agent for the U.G. Jim Gibson for commission district 7 is a hard working non politician wanting to bring representation to the people of that district. Since consolidation, the people of district 7 have been paying more and getting less in return. Ironically when Jim filed to run against Walters, who is Hollands rubber stamp, Cooper tried to coerce him not to run. When Jim wouldn’t drop out, Cooper filed to run, WHY? maybe a puppet to split the vote? The threat to the status quo is no more evident than Jims campaign signs being stolen in record number. I wonder who the ARCHITECT of that immature nonsense could be.